When comparison shopping is as simple as a few clicks of the mouse, you better believe that consumers are doing their research. Compelling graphic design will set your website apart from the competition. As they sort through dozens of online stores, yours will be the one that sticks in their mind. As an online store, it is critical that you gain customer trust. Without being able to speak to you in person, potential customers have to find other ways to evaluate your credibility as a business. The quality of your website is one way that people will judge your professionalism. Sophisticated, one-of-a-kind graphics create a website that looks and feels authentic. visual cues can be just as important as the written word. What is your website saying to the world? Contact us today to find out! A customized logo is key to establishing corporate identity. 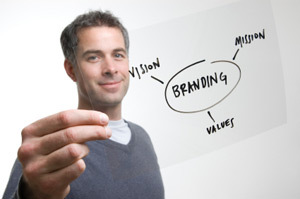 Logos promote brand recognition and create consistency across all of your marketing materials. Your corporate logo gives potential customers yet another way to remember your business. A website that pays little attention to graphic design conveys a subtle message that it just doesn't have as much to offer. On the other hand, include too many graphic elements and your products get buried. Accessible Computing®'s graphic designers know how to strike the perfect balance. You'll get graphic design that adds value to your site and visually conveys your corporate identity. Accessible Computing® has a talented and creative team of graphic designers who can turn concepts and ideas into captivating visual elements. Accessible Computing® can meet all of your graphic design needs. In addition to website design, we also do all types of print work. Let us handle your brochures, business cards, letterheads, print ads and direct mailing materials. Graphic design is more than just eye candy. It's a powerful way to send a message to your customers. Graphic design is an integral part of website design and development. Many people don't realize just how much graphic design encompasses. In addition to logos, graphic design includes bullet points, divider lines, navigation buttons, background images and photographs. Developing the perfect website requires technical ability as well as an artist's eye. Accessible Computing® gives you more than the average graphic design team can. We know website development and usability inside and out. We will make sure that all of your graphics integrate seamlessly with your existing site. By working with all-around experts, you can be assured that your graphic designs will never interfere with the functionality of your site. Want to know more about our graphic design services? Just fill out the Request for More Information form, and we'll call you as soon as possible.